It’s Spring! That means grilling out and relaxing with a cold beverage on the back deck here in Alabama. I’m not trying to ruin your outdoor fun, but there are a few things you should probably do yearly to make sure your deck is safe to enjoy. Today, I am going to go over five signs of deck damage and what you can do to prevent an accident or injury. When we’re out doing home inspections around Birmingham, these are five of the things we look for if the home has a deck or porch. Posts should be anchored to a concrete foundation or surrounded by poured concrete. Over time, deck posts will rot if they contact the soil. 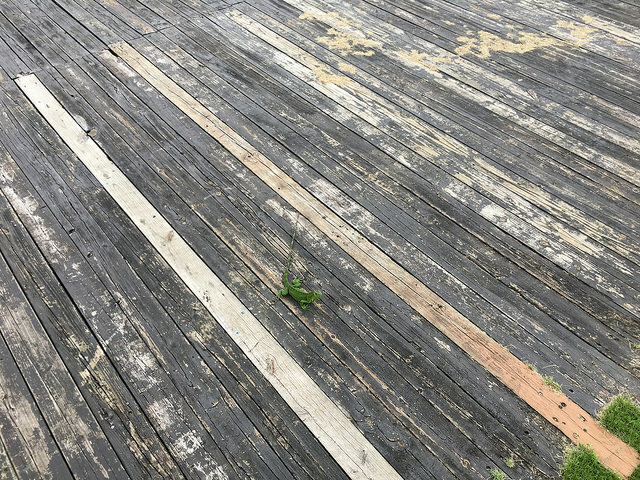 Over time, this can make your deck unsafe to walk on. So, make sure new installs are completed properly and inspect for signs of rot. You donâ€™t want a deck to collapse due to the weight of several guests, so be sure to inspect your posts yearly. Let’s face it, everyone’s concerned with costs these days. But one thing you don’t need to cut corners on is deck screws and fasteners. All new installs should make use of outdoor rated materials, but sometimes builders cut corners. So, check for rust around screw heads and in areas where moisture might collect around brackets. Make sure you look under your deck in areas that are normally hidden as well. These boards take a beating in the Alabama sun! 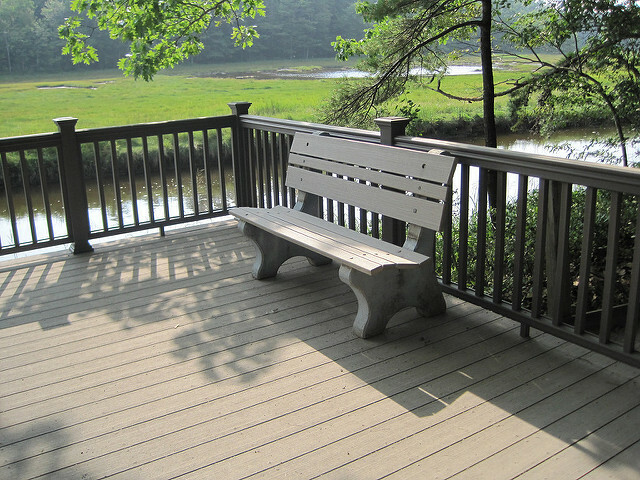 Make sure to stain or paint your deck when needed to help prevent UV damage. Over time, these boards can warp or rot. If they stick up, it can present a tripping hazard. Rotten boards should be replaced before someone falls through and injures themselves. In the early Spring and Fall, we get a lot of rain here in Alabama. This can cause growth on deck surfaces. There’s two potential problems here. For one thing, it can pose a tripping hazard. Another problem is the damage to the structure over time. This is also an early sign that you might be dealing with rot very soon. So, keep an eye out for mold, mildew, and moss on your deck. These insects are a menace for homeowners around Birmingham. They show up in the early Spring and bore holes into wooden structures. Over time, this can weaken the structure as these pests turn your deck into Swiss cheese. You can purchase traps at most hardware stores that are really effective at keeping their numbers down. That’s the main things you need to be concerned with if you have a wooden deck at your house. Here at AB Home Inspections, we provide thorough home inspection services to Birmingham and the surrounding areas. Reach out if you plan to buy a home and you think there might be structural problems on the deck or patio. These repairs can be costly, and you need to be aware of any issues before you buy.